SALEM/ KRISHNAGIRI: Replying to Stalin’s remark on chief minister’s political life, Palaniswami said that his own political career would see a new beginning after this election. Addressing the gathering in Salem, he reiterated that the mega-alliance was formed to establish a stable government. “Salem is a fort of AIADMK and PMK, DMDK, BJP, TMC alliance has made it stronger,” he said. Replying to Stalin’s question at a meeting in Namakkal about what the AIADMK government has implemented, Palaniswami said that the bridges in Salem stood evidence for the achievements, referring to Stalin’s visit to the city few days back. In his campaign for AIADMK Krishnagiri Lok Sabha candidate K P Munusamy at Hosur, Chief Minister Edappadi K Palaniswami urged people to vote for BJP for a safe nation. Lashing out at Stalin’s statement that Rahul Gandhi will be the next prime minister, he mentioned that former union minister P Chidambaram of Congress himself did not jump the gun. “Only talented persons will become the prime minister,” he said. 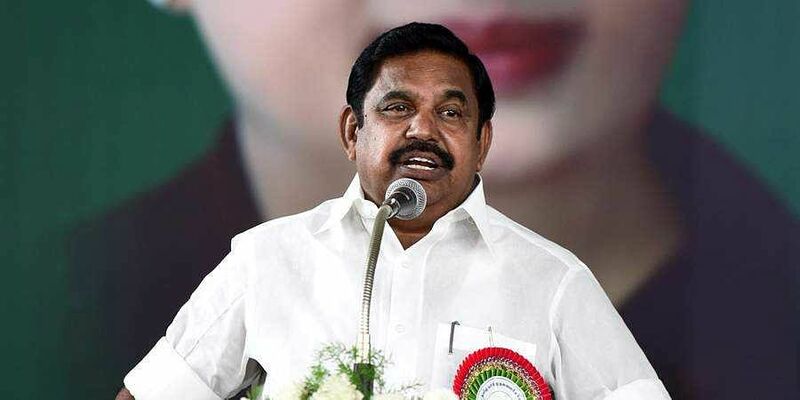 Attacking the Congress president, Palaniswami said that if a dam was built on Mekedatu, as per Rahul’s promise, Tamil Nadu will turn into a desert and Hogenakkal drinking water project will be affected. He said that around 3,000 waterbodies have been desilted in the State and requested votes for ‘son of the soil’ K P Munusamy.